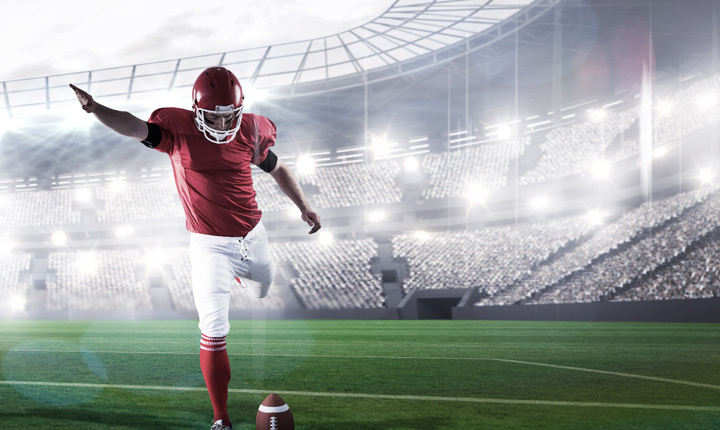 Despite the global popularity of soccer, the NFL is still the biggest league in the world and generates the highest amount of betting revenues for sportsbooks. In fact, the Super Bowl is consistently the single biggest betting event of the year, with people from across the globe betting tens of billions of dollars on the game alone. Thanks to the intense interest in the NFL, making money over the long term can be difficult as there any very few mispriced lines, if any. 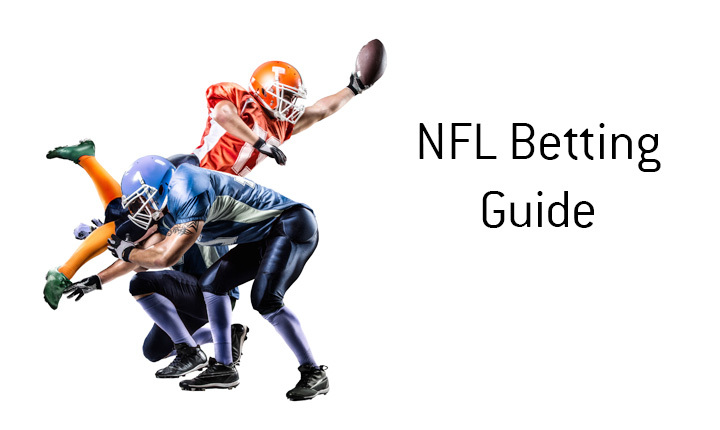 Before we get into some strategy for betting on the NFL, let's look at the most common ways that people bet on the game of American football. This is the most common way to bet on the NFL. With the spread, the better team gets points taken away, while their opponent will receive points. Ok - so let's say that you take the New England Patriots to win, minus the points. In order to win your bet, the Patriots would need to win by 8 or more points, as you are giving up 7.5 points. On the other hand, let's say that you believe that the Cardinals will put up a strong showing on the road, though you would like the 7.5 points as well. If you bet on the Cardinals plus 7.5 points and they ended up losing by a score of 20-13, you would still win your wager as you are receiving 7.5 points as well. By adding on the points that you are receiving, the score of the game as it applies to your wager would be 20.5-20 for the Cardinals, as you have received 7.5 points. The -110 means that you would need to wager a total of $110 in order to have a chance of winning $100 in profit back. In this case, the Raiders are giving up 2 points, while the Broncos are getting two points, which means that the Raiders are slightly favoured to win. So, if you took the Broncos plus 2 points and they lost 20-19, you would still win your bet. One more important point here - what happens if the game finishes 20-18 for the Raiders and you took the Broncos +2? This would result in a "push", meaning that you would receive your money back. Next up - the money line bets. If you want to avoid the spreads and simply bet on teams straight up to win, you would want to take a look at the money line wagers. So, in this case, a successful $330 wager on the Patriots to win straight up would result in a total profit of $100, while a successful $100 wager on the Cardinals would return a total profit of $250. If you really feel strongly about a team, you may want to consider doing a straight up wager on them, especially if they are the underdog. You can usually get some really strong odds, which will result in some big payouts if your hunch ends up being right. In the case of lopsided contests, the money line can rise to as much as +800 or +900. To simply things - the money line is when you want to bet on a team to win straight up without any spreads involved. This is pretty straightforward - do you think that there will be more or less than 45 total points scored in the game by both teams? If you believe that the Patriots and Cardinals are going to put up a lot of points, you will want to bet the over. If you believe that the game will be a defensive affair, you would obviously want to bet on the under. Totals are pretty straightforward and don't need much in the way of explanation. If you don't wish to partake in betting on the outright winner, spreads or totals, you might want to look into betting on props. Will Marshawn Lynch rush for more or less than 36.5 yards? Will Tom Brady throw for more or less than 314.5 yards? Will the Denver Broncos score more or less than 3.5 Touchdowns? Who will be the first team to 14 points in the game? These are all examples of prop bets. If you are smart and quick on the uptake, you can get some pretty decent odds, as the sports books (especially European sports books) will often misprice prop bet lines before games. 1. Look for Value. Home favourites, especially the bigger name teams such as the Dallas Cowboys and New England Patriots, will often have a great deal of casual money bet on them, which will result in the lines being distorted in their favourite. The smart money will always look for the value plays - especially road underdogs. If you find yourself betting on your favourite team because they are favoured at home, you will probably end up losing your money. 2. Keep a close eye on injuries. 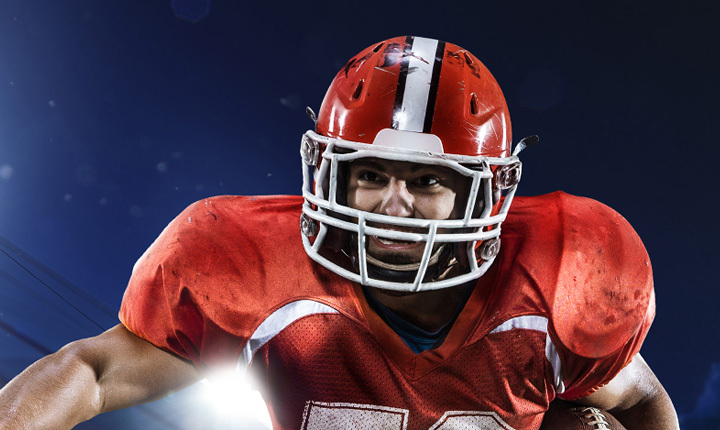 Keep an eye on injury reports in the minutes and hours leading up to a game. Keep an eye on who is practicing and who isn't in the days leading up to a game. A player not practicing on a Wednesday isn't a big deal, especially if they are veterans - vets will often skip Wednesday practices in order to get some extra rest. If a player doesn't practice on a Friday and they are playing on a Sunday - keep in mind that there is a very good chance that they won't play on Sunday. These injuries will obviously have a big impact on games and the odds for the games. 3. Momentum is real in the NFL. Is a running back in the midst of a breakout campaign? Is a QB hot as a pistol in recent weeks? Is a defence firing on all cylinders and stifling the opponent's offences? Momentum is real in the NFL and you should factor this into your bets. 4. Weather matters. Some teams do not perform well in certain types of weather. For instance, the Tampa Bay Buccaneers playing at Lambeau Field in the middle of a winter storm are probably not going to do well. 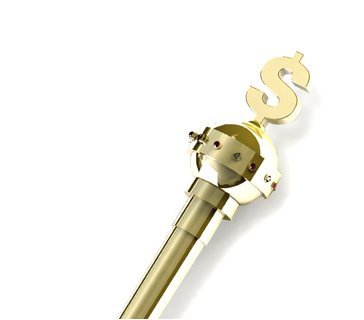 Keep these things in mind before you put your money down on a contest. Even if the Buccaneers were the hottest team in the NFL, I would hesitate to put money down on them to win if they were playing in some bad weather. 5. Avoid parlays. Parlays were destined by sports books to take as much money as possible from unsuspecting bettors. Don't use them.